Hong Kong was from 1842 the territory of the United Kingdom. 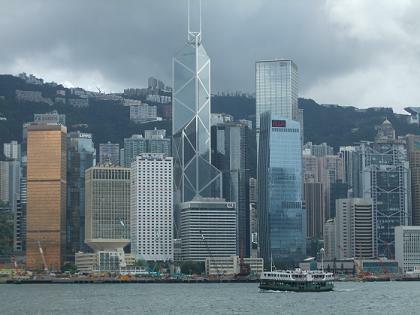 In 1997 Hong Kong was transferred to China but kept a high degree of autonomy. The population is about 7 million people. The port and financial center are important for the economy. Hong Kong International Airport is located 40 kilometres west of of Hong Kong. It is a relatively new airport (1998) build on an artificial island. The Airport Express Train operates between 05.50 to 01.15 daily and takes passengers in 24 minutes to Central District. Fare is HKD110. Much cheaper but slower is the transportation by one of the city buses. SkyPier at Hong Kong International Airport provides fast ferry service for transit passengers to Shenzhen, Zhuhai, Macau and Zongshan. Coach services to China are available at the Mainland Coach Station of Terminal 2. A taxi to Kowloon is HKD245, to Central and Causeway Bay HKD295. The Mass Transit Railway (MTR) has 7 lines including the Airport Express and the Disneyland Resort Line. An average single ticket is between 4-11 HongKong Dollar (HKD). A Tourist Day Pass for 24hour is HKD55. 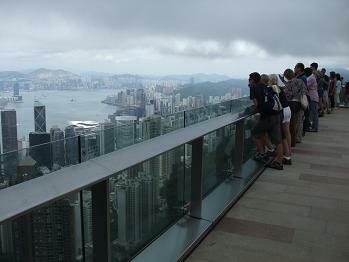 A Child Tourist Day Pass (age 3-11) is HKD25. For HKD220/300, you can buy the 3-Day Airport Express Octopus Pass. This card includes an one-way/return Airport Express ride + 3 days of unlimited travel with the metro. At the end you get the HKD50 deposit back when you return the card. Train company in Hong Kong is the Kowloon-Canton Railway(KCR). Train services to the area outside Hong Kong city ( called New Territories). From station Hung Hom in Kowloon depart several trains every hour to Shenzhen Journey is 40 minutes. Fare is around HKD65 for a first class seat and HKD35 for second class. From Hung Hom are about 10 (express)trains daily to Guangzhou. Journey takes 2 hours. Fare between HKD180-230. Urban taxis (red) generally serve all destinations throughout Hong Kong including the airport. New Territories taxis (green) serve only the New Territories. Lantau taxis (blue) serve all destinations in Lantau and the airport. Start rate for the red taxi is HKD15 for the first 2km. Every km or minute waiting time, HKD7 will be added.